Hailing from Reno, Nevada, Singer-Songwriter Michael Stosic is on the verge of another musical breakthrough with his upcoming album! The album, Welcome Home, will be comprised of some of his most emotionally charged lyrics and has a release date of early 2016. Stosic’s musical career began back in 1986 in the Gospel music world when he recorded his first Contemporary Christian album titled “Brand New Love”, which became an instant hit with listeners on the West Coast due to play from Spirit 105.3FM KCMS Radio. Soon after the release of his debut album, Stosic’s second album “Symphony of Praise” reached listeners all across America and 118 other countries including Communist China. The success and response to Michael Stosic’s songs in the Christian music world became evident to him after the release of his third studio album “Psalms of the Heart” in 1992, where he started receiving letters and phone calls from fans across America who gave him praise for his music. A decade after the release “Psalms of the Heart”, Stosic was invited to Zimbabwe to put on concerts for the native people; touring the land and even making a stop to sing for children at an orphanage. Upon returning back home to the United States, he was saddened to receive a call from the pastor running the orphanage informing him that 3 of the children he had interacted with have passed away from malnutrition. Being overwhelmed by the heaviness of the news, Michael decided to get more involved with the country of Zimbabwe and the children that live there. He soon teamed up with the Indiana based non-profit organization Feed The Nations and The River Christian Church in Reno, with their help he took part in getting a shipment of 286,000 meals sent Zimbabwe for the people in need. It was these experiences that inspired Michael’s fourth album “Remember The Cross” that went on to make the Gospel Music National Top 100 Of The Year list, coming in at #48. From 2009 to 2014, Michael released his 5th, 6th, and 7th album. It was his 7th album where Michael showed more of his talents by releasing his first Self-Titled album that fused R&B with Adult Contemporary and was the first of his albums to have a song reach the top of a non Gospel radio station. Now in 2015, Michael continues his musical voyage. After tracking for his 8th album, he joins us here at MetroSonic. Given the task to Mix and Master the album, we set out on capturing the true essence of the emotions Michael tries to convey through his lyrics. 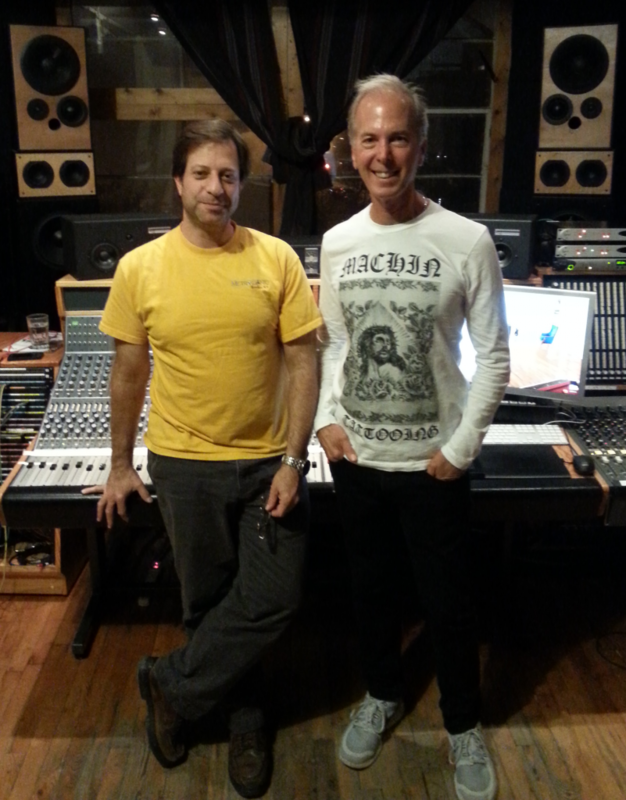 Pete and Michael on the final night of Mixing. Throughout the Mixing and Mastering process one thing about Michael became more and more evident: he pours all of his passion into his music. With songs about losing loved ones, the bond between his, and the horrible events that took place at the Emmanuel Methodist Church in Charleston, South Carolina; Michael has truly put all of his emotion and heart into this album. Upon the first 24 hours of the release of the first 2 songs from Welcome Home (Thirty-Nine Years & Welcome Home), Michael started receiving messages from new listeners across America and over-seas, showing him their out most respect for his new songs; but even though he loves the support from listeners, he says that the ability to be able to play his music and art for the people he holds closets to his heart. 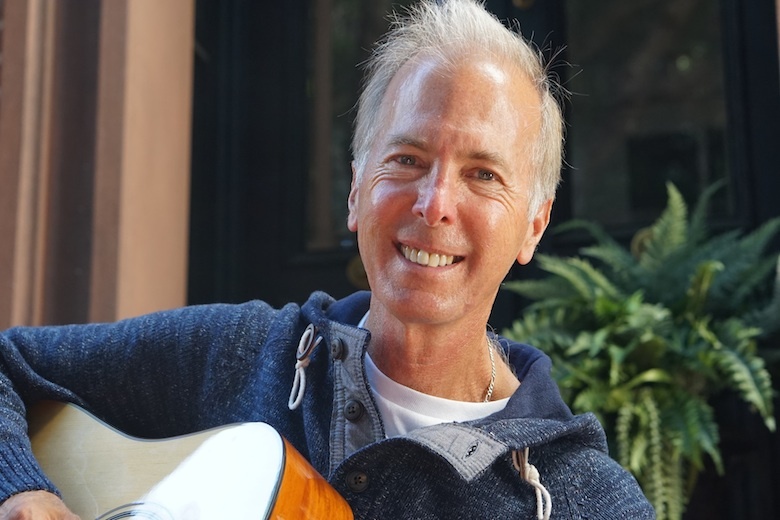 Posted in Adult Contemporary, Artists, Featured This Week, Gospel, Michael Stosic, Music Genre, R&B and tagged Adult Contemporary, Brooklyn, Gospel, mastering, Michael Stosic, Mixing, recording studio.